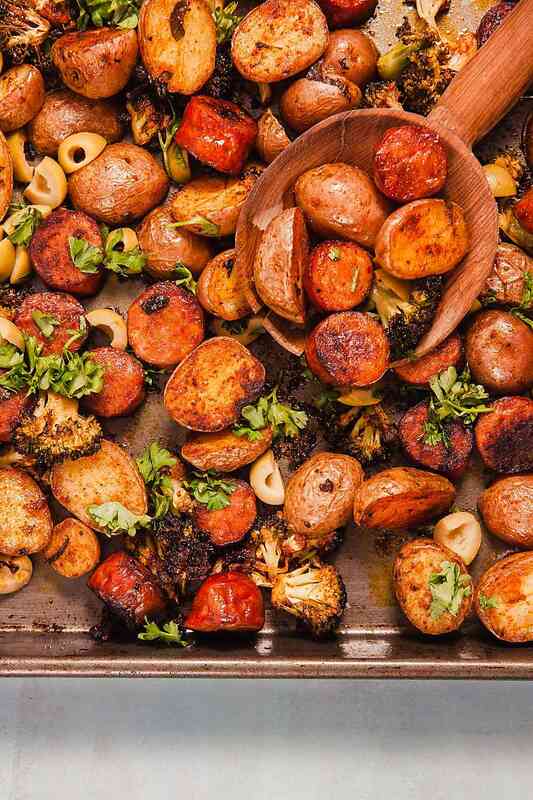 Sheet Pan Spanish Style Potatoes with Chorizo (Whole 30) | Healthy. Delicious. 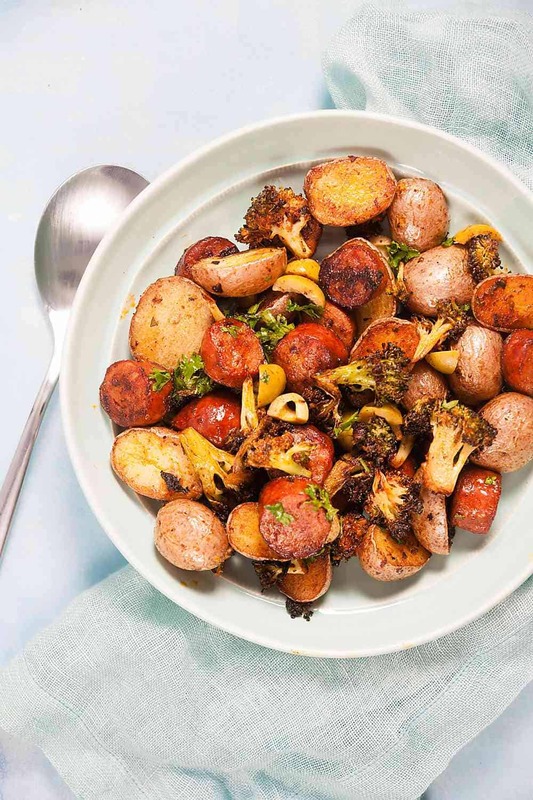 This easy sheet pan dinner features tender potatoes, smokey chorizo, and roast broccoli seasoned with paprika, oregano, and parsley. It’s my go-to weeknight dinner these days because it’s so good! These Spanish-style potatoes with chorizo and broccoli are one of the best things I’ve eaten lately. The potatoes are crisp on the cut edges but buttery and smooth inside. The broccoli takes on the flavors of the chorizo and is just about as delicious as broccoli can be. Chorizo is, well, chorizo (love.) Briny olives add a bright pop of flavor that cuts through the earthy paprika. And, possibly best of all, it only takes about a half hour start to finish. This recipe is adapted from one I found for Spanish-style potatoes in a issue of Cooking Light. They immediately caught my eye as I was flipping though the pages and I knew I wanted to make them. I also knew that they needed chorizo. The original recipe is a side dish; mine is a full-fledged sheet pan dinner. 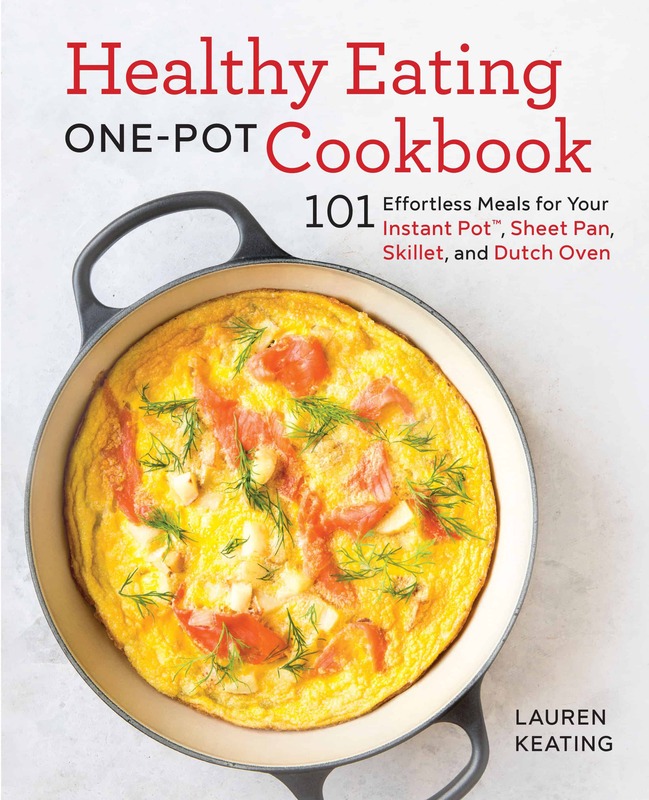 I’m not entirely sure why the folk at Cooking Light didn’t take it that extra step – they should have. 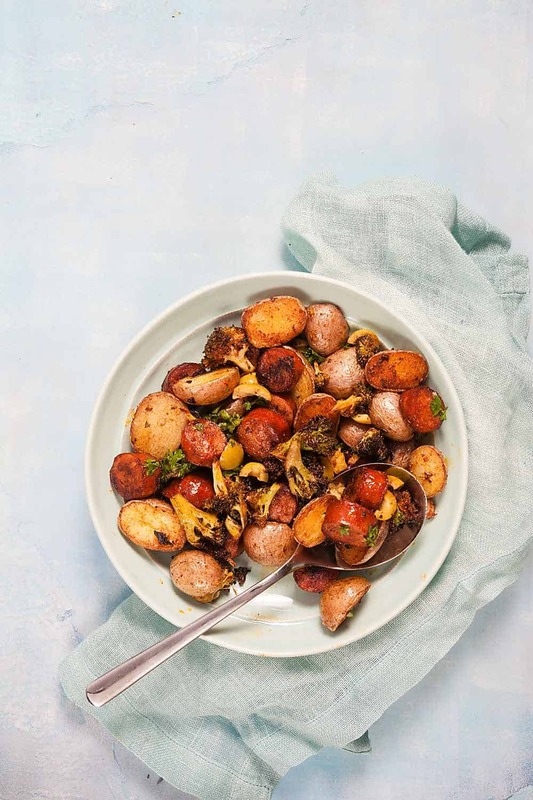 To keep this recipe for Spanish-style potatoes with chorizo Whole 30 compliant (or paleo, if you include white potatoes) be sure to look for chorizo that doesn’t have added sugar in the ingredients. It should be pretty easy to find at most grocery stores (the first one I picked up at out neighborhood market fit the bill perfectly). Look for smoked chorizo for this recipe, not fresh chorizo which has a different flavor all together – the package should indicate that the sausage is fully cooked. 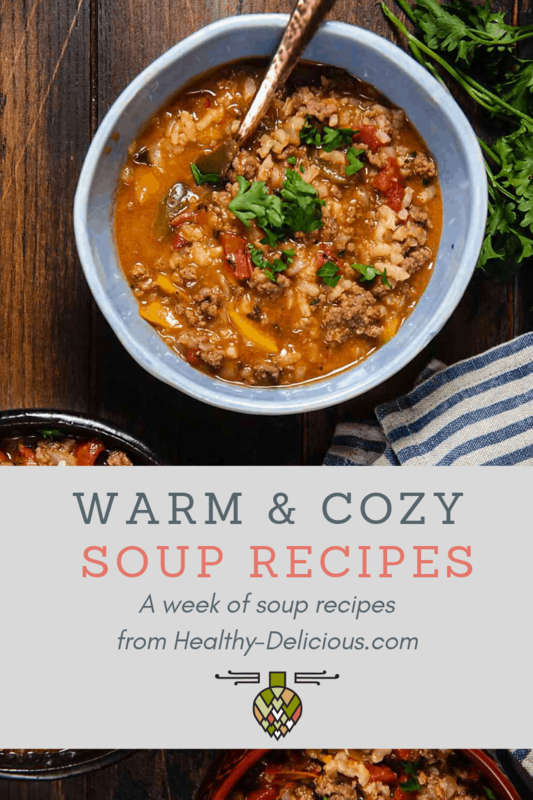 If you have extra paprika, use it up in this recipe for Hungarian goulash soup! In a mixing bowl, combine the potatoes, broccoli, oil, and paprika. Mix well, then pour onto a sheet pan in a single layer. Scatter the chorizo over the potatoes. Bake 20-30 minutes, or until the potatoes are tender, stirring halfway through. Remove from the oven and stir in the olives, parsley, and oregano. Season to taste with salt and pepper. This was so good. The olives really completed the dish. Can this be cooked ahead and reheat? Is it suitable for freezing? I made this tonight and it was so easy and delicious! What a great idea! I love sheet pan meals, and I love chorizo, so this is going into my list of weeknight recipes.